Halcombe Norilsk: Gascoigne documentary. Is Paul Gascoigne a football legend? 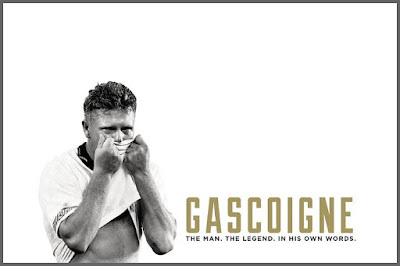 Gascoigne documentary. Is Paul Gascoigne a football legend? Paul Gascoigne reached semi-finals both in 1990 World Cup and UEFA EURO 1996 playing for England, similarly, he played for Newcastle, Tottenham, Lazio (Italy) Glasgow Rangers (Scotland), Middlesbrough, Everton, Burnley or Gansu Tianma (China). He won the FA Cup, 2 Scottish Leagues, one Scottish Cup and one Scottish League Cup. Injuries, diverse scandals and above all his alcoholism ended his career (he was expelled from English national team in 1998 for instance because he was caught drunk, what is more, he tried to punch the English manager because of his decision). Is Paul Gascoigne a football legend? I am not sure. Even so, I still believe he deserves a documentary as his life and career are interesting and this film Gascoigne it is indeed, we see Wayne Rooney on it whose football style, environment and upbringings are not dissimilar to the ones of Paul Gascoigne, Gary Lineker also appears who played alongside Gascoigne in English national team and finally Jose Mourinho who is not an Englishman but he is very popular nonetheless.